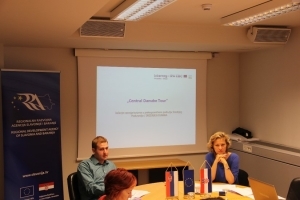 Partners from both sides of the project “Central Danube Tour” have met together on 10 October 2017 to represent themselves to each other and to discuss project activities and obligations. 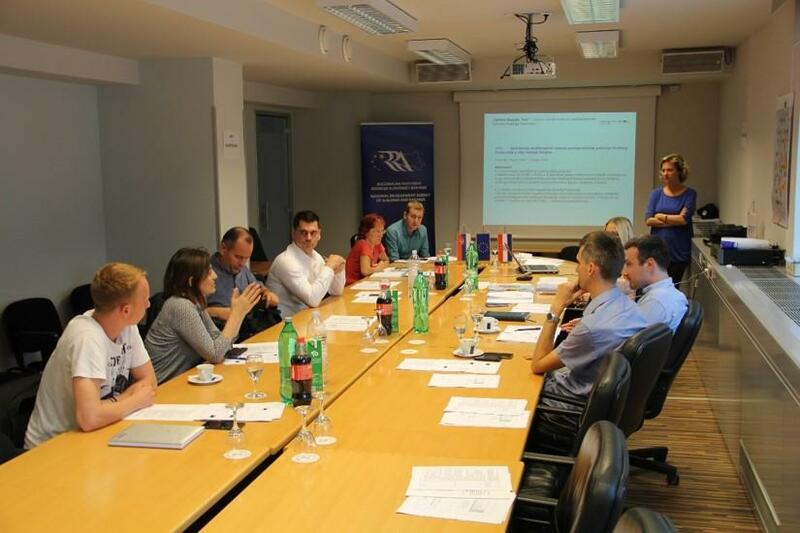 The meeting was held in the Regional Development Agency of Slavonia and Baranja who is a Lead Partner on the project. In the beginning, partners presented their organizations and experiences in the implementation of EU projects. After that, the main project story and reasons for the project implementation were listed and objectives were concluded. The presentation of the main project idea and its objectives was followed by a presentation of financial and reporting procedures important for every project partner, also by activities that were planned for the following six months of the project implementation. Project visibility and communication activities. The discussion on the project main activities and responsibilities per partner ended up with conclusions related to organization of a study tour in Gorizia, Italy, for “Gusti di Frontiera” manifestation through which 35 participants – partners and other important stakeholders – will be educated about best practices in the development and promotion of cross-border tourism and joint tourism events representing tourism resources of cross-border area. Partners have agreed on the organization of a kick-off conference in Osijek and a networking workshop in Novi Sad in order to present the project activities and to increase regional stakeholders’ capacities in the field of joint tourism planning and raising up the competitiveness of cross-border cooperation tourism in the Central Danube area.